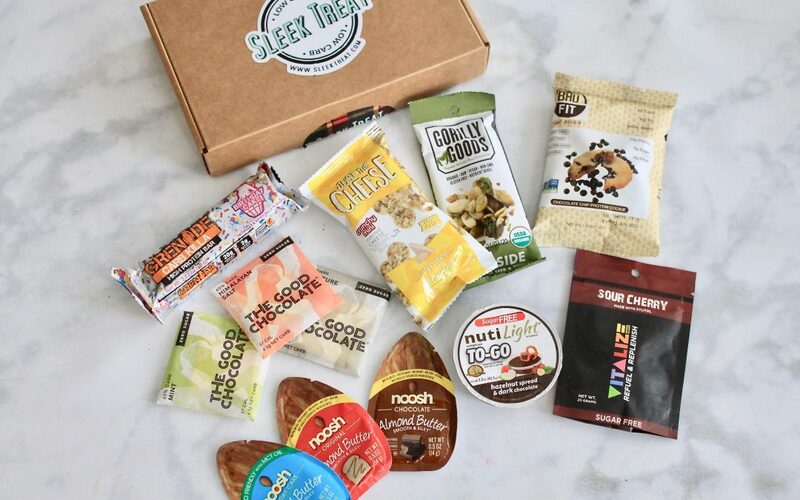 Sleek Treat is a monthly subscription that sends out low-carb and sugar-free treats delivered right to your door. 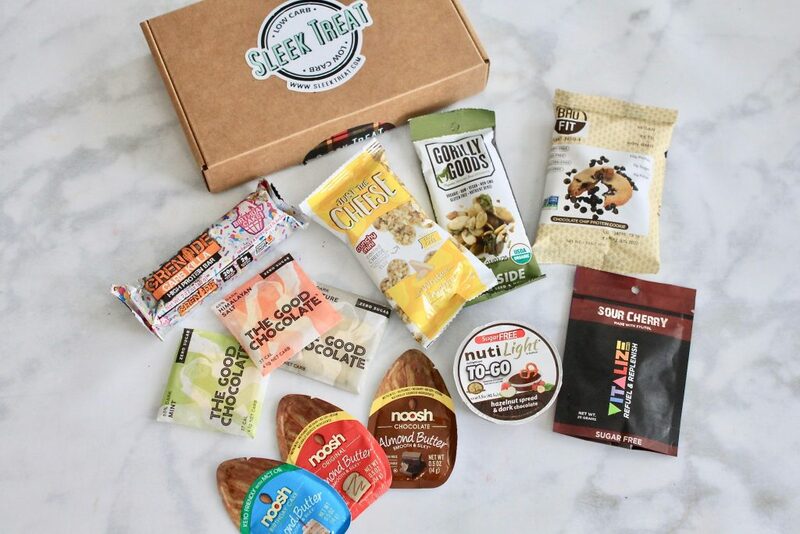 Each Sleek Treat box includes specially curated 5-8 hand-picked gourmet treats. It is also diabetic-friendly, better for dental checkups, and helps in improving overall health by reducing sugar intake. 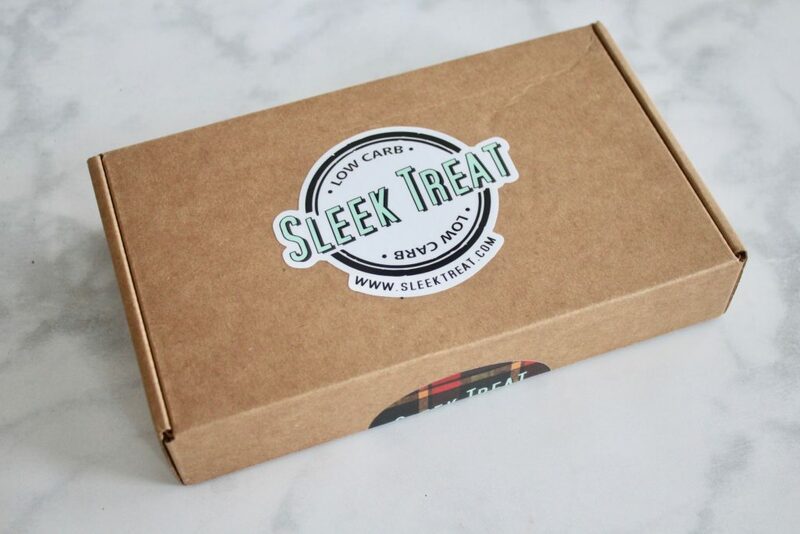 Sleek Treat now offers a mini-box too! 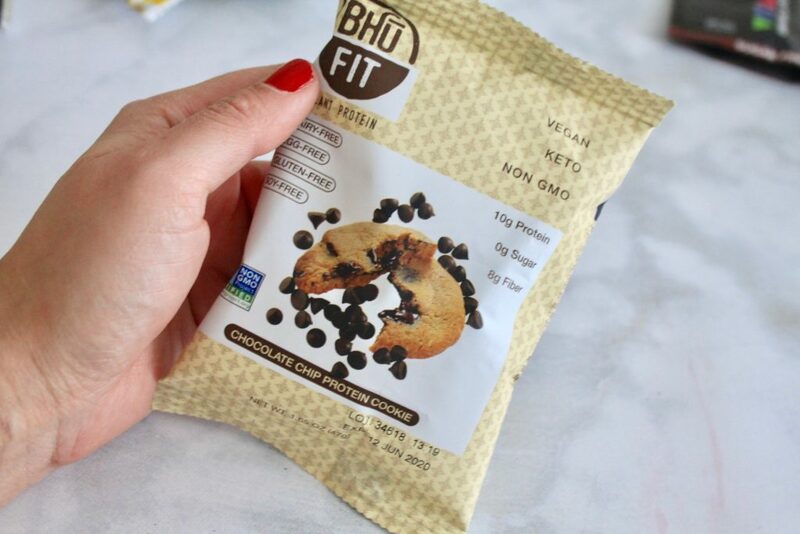 It delivers 3-5 Low Carb, No Added Sugar and Gluten-Free Snacks directly to your door, all shipped in an adorable printed bag! Sleek Treat Mini is perfect for testing out their services and discovering new favorites on a budget! 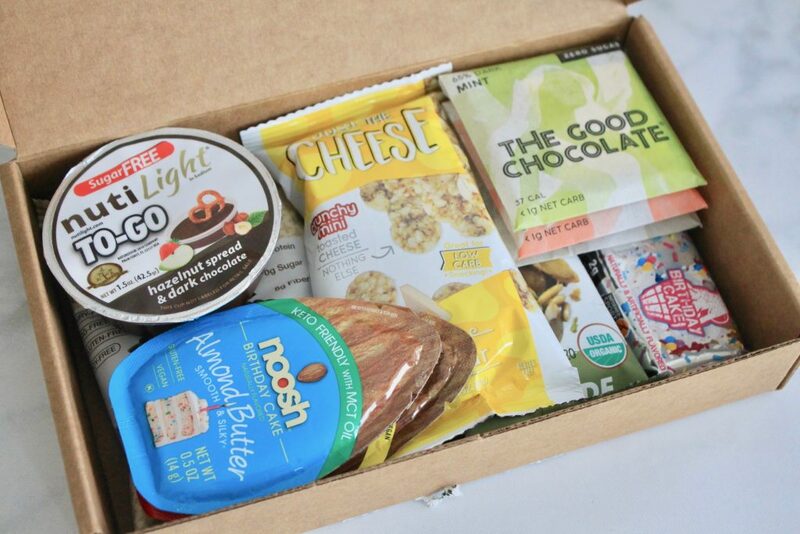 *Disclosure: Sleek Treat kindly sent me this box for review purposes. However, all opinions expressed in this post are 100% mine. Post may contain affiliate/referral links. If you live in a warmer climate, you can select the option to have your box shipped with the insulated bubble wrap and cold packs to keep it cool for an additional $5.00. 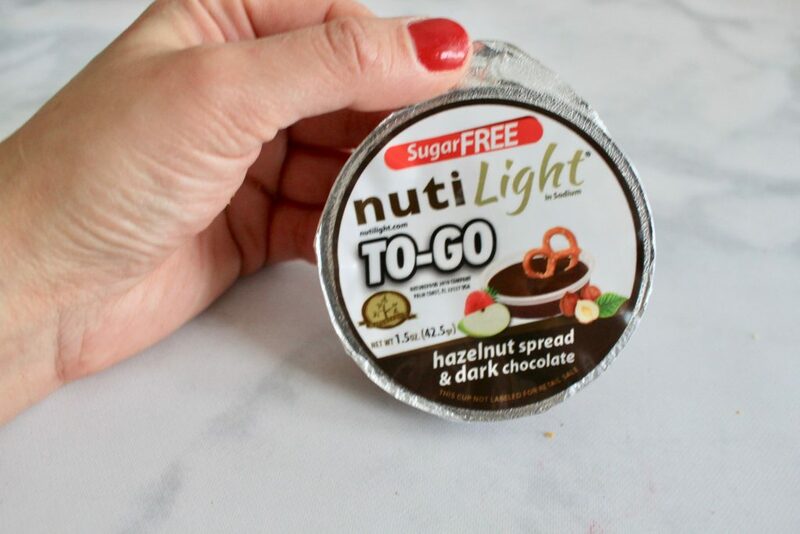 Check out all my Sleek Treat reviews here. 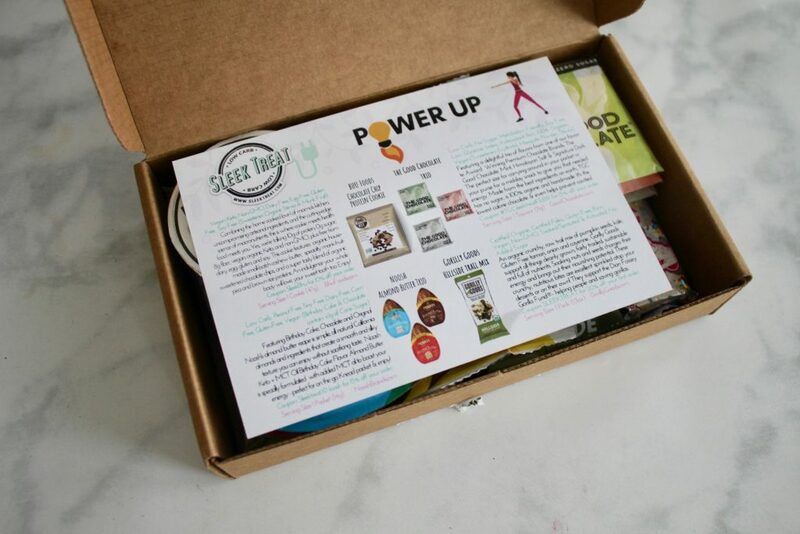 For a relatively small box, it comes filled to the brim with full-size, sugar-free goodies. Love the sleek packaging. 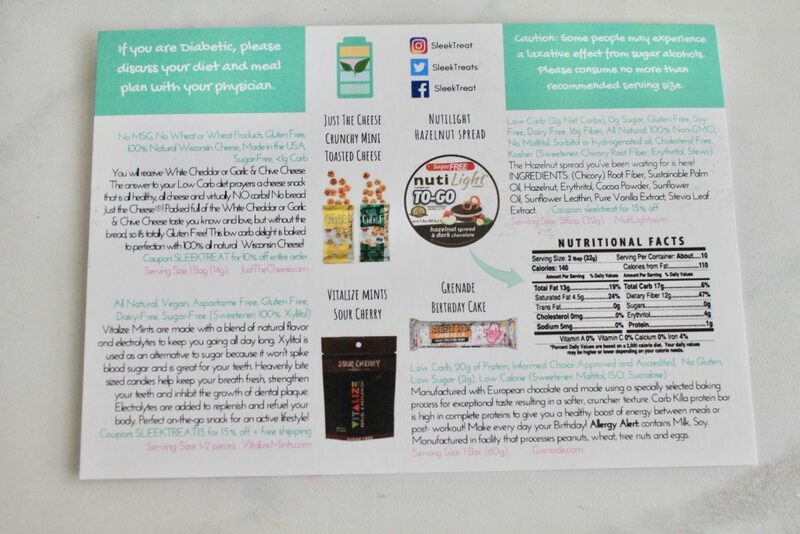 You also get a very colorful double-sided information card with all the details about the products included. As always, this is very helpful in case you want to learn more about any items in your box. Since I am such a cheese-lover, this one is always a favorite around here. 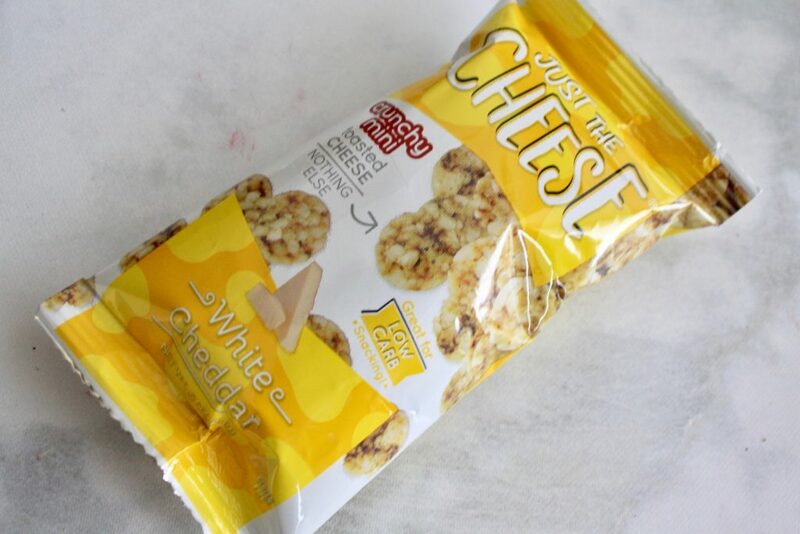 Love the crunchy cheesy bites with a slightly saltier taste. 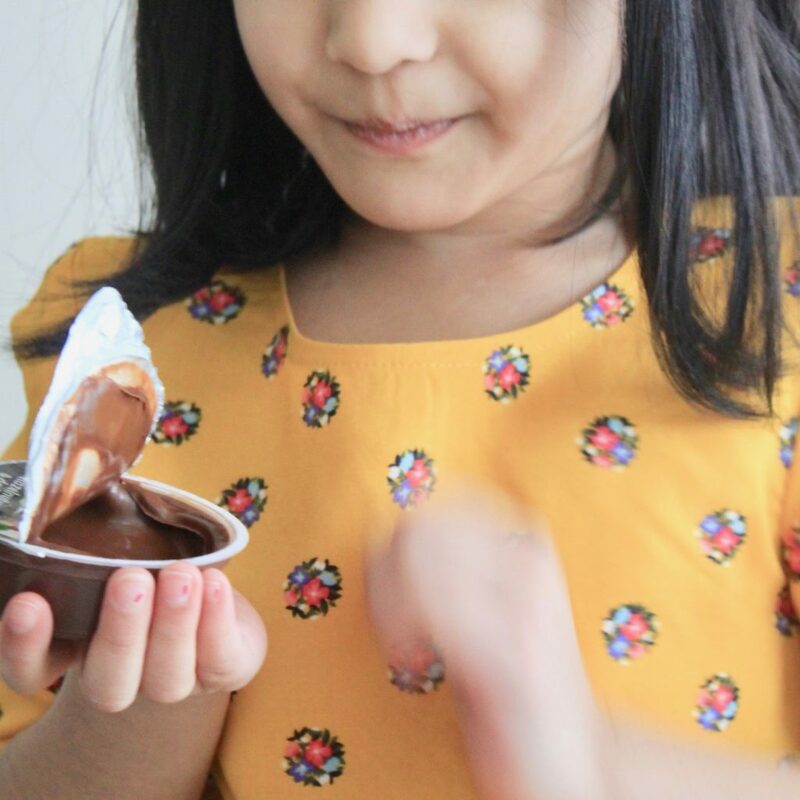 My family loves almond butter, way more than we can ever come close to peanut butter, ha. 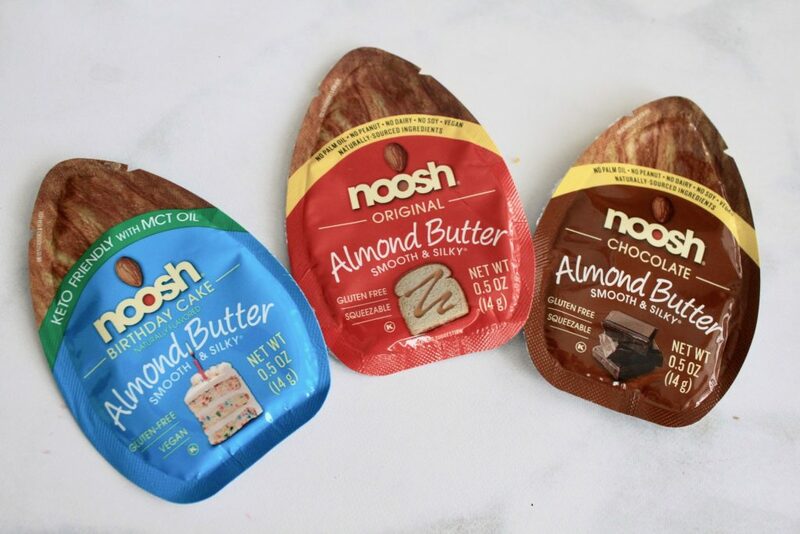 Loved trying out different flavors of almond butter, not surprisingly enough, our favorite was Birthday Cake! 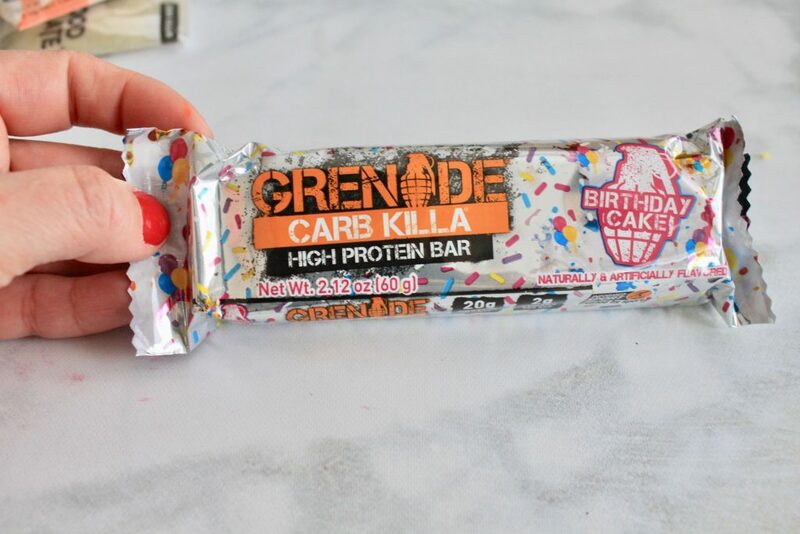 Slightly sweet yet filled with that delicious almond flavor. 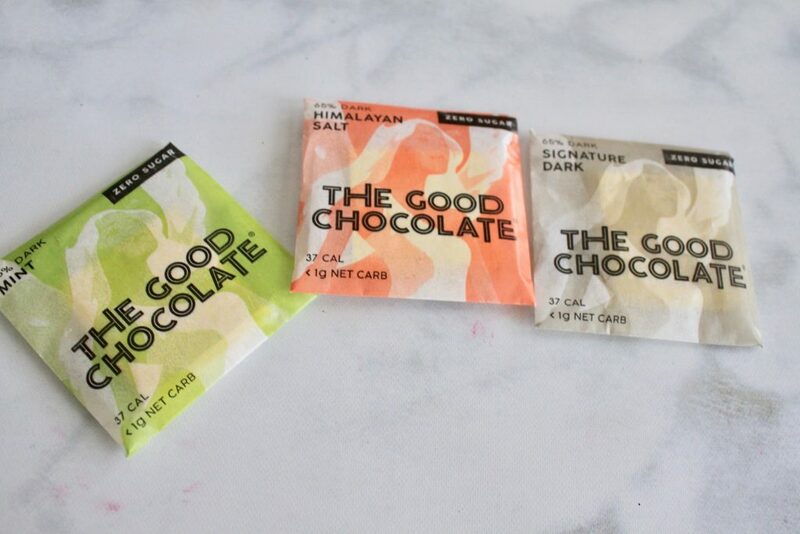 This is seriously good chocolate right here, hence the name, I guess? ha. 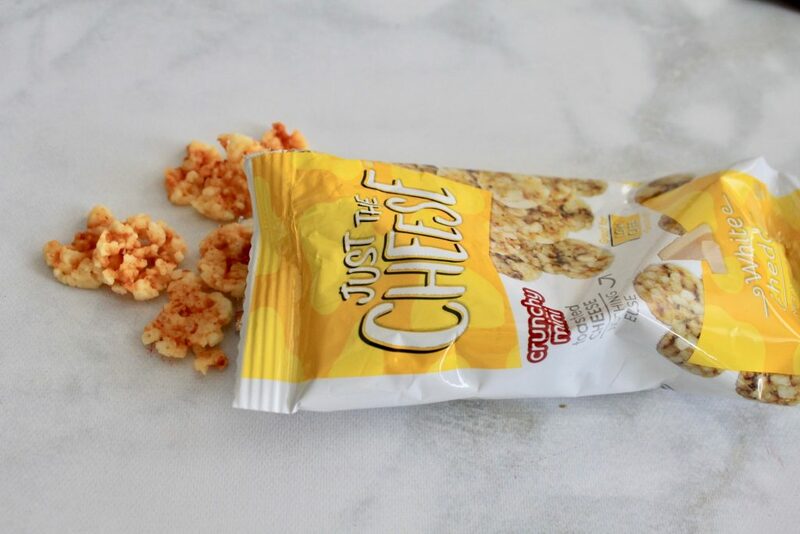 Always a treat to pop them in my go-to bag or give as a treat to the kiddos. 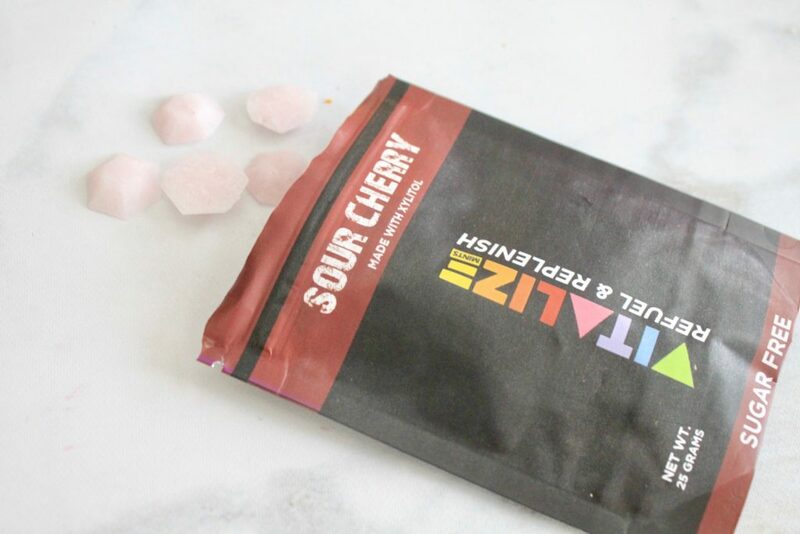 Handmade candy mints that are sugar-free, all-natural, aspartame free and made with 100% USA Birch Xylitol! Thanks to Sleek Treat for introducing me to a plethora of delicious xylitol-filled mints that I can now never go back to the regular kind. 😉 These are another favorite of ours! 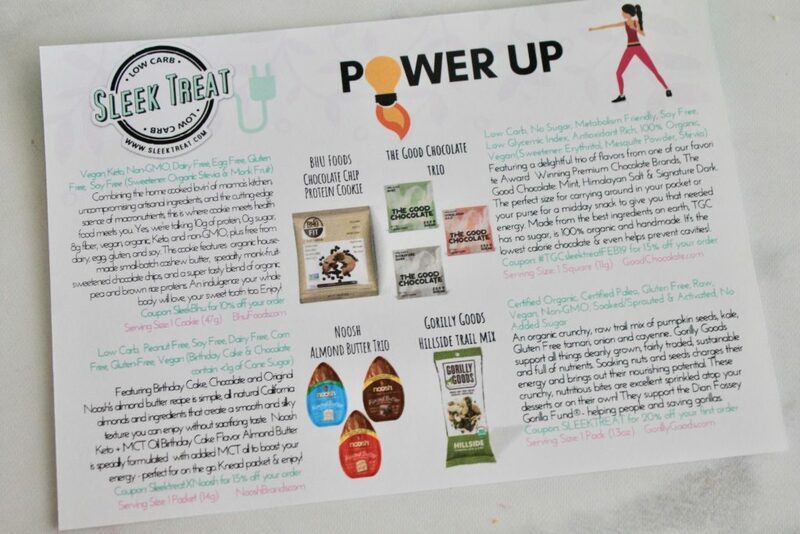 Okay, seriously, Sleek Treat just keeps getting better! 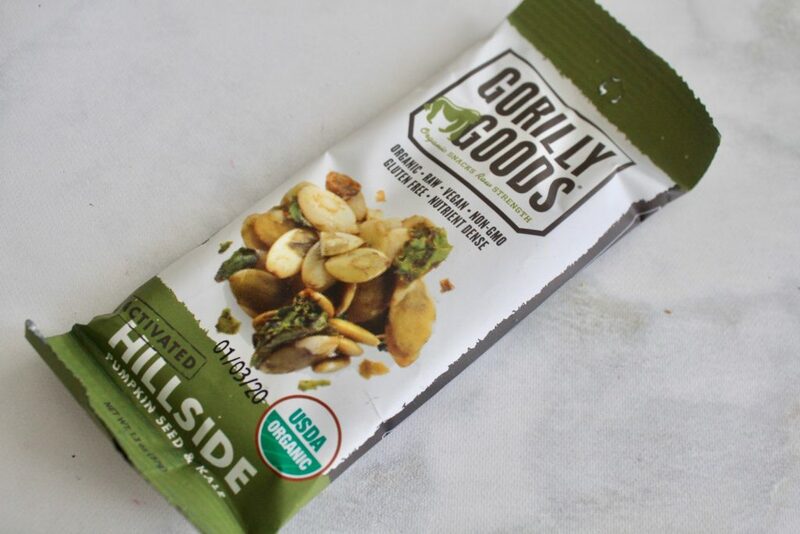 If you are on the lookout for healthier snacking options both sweet and savory, then don’t miss out on this one!